Life sometimes comes with difficult decisions, and footage recently uploaded by Rumble Viral shows one Shiba Inu pup who's having a rough time wrapping its muzzle around the idea. 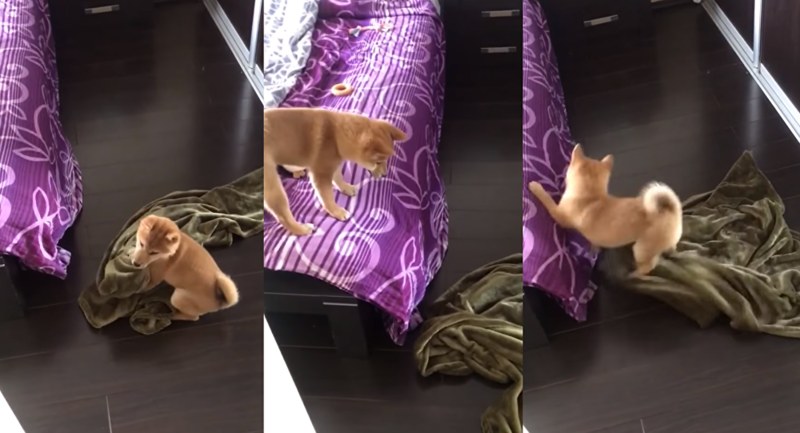 Wanting to handle the situation on its own, this pup is seen in the short clip making multiple attempts to leap onto a bed while clutching its comfy fleece blanket. Despite approaching the bed from different angles, the young pooch repeatedly finds itself slipping up on the bed sheet. It might be time for some human intervention!